Pretty good on first listen, I don't see it growing on me, Better than his last first single though. Hatte einen Major-Lazer-Groove erwartet - und wurde überrascht: hier regieren sanfte, unaufgeregte Beats vor - in ähnlicher Stimmung wie bei Drake's TAKE CARE - nur Heulsuse Usher macht sich manchmal mehr bemerkbar. Ambiance planante qui me plaît bien ! R&B Usher! Gar nicht schlecht, seine Stimme gefällt mir hier überaus gut. 4*<br><br>Hoch auf die 5*. Gänsehaut. Predictably it falls short but at least it's outside of the trend.<br><br>Actually, it is quite good. I thought it was a bit dull, but the production is interesting. OMG was much better overall. I felt like giving this a lower score but it isn't that bad. I've never really loved R'n'B but I've never really despised it either, it's just so utterly boring. There are some great exceptions though, but this won't be one of them. I've grown fond of downtempo R&B of late, and while I'm not usually a fan of Diplo's production, it holds this song together nicely. I came in skeptical, but I think this is Usher's best in years! At first I found it quite boring, but after a few more listens I'm starting to warm to it. The lyrics aren't too bad either, but I do love the change in style. Heul' dich woanders aus, Usher! lang geleden dat ik een nummer van usher nog best wel redelijk goed vond. Excuse my french but this is f***ing AWESOME! ▒ Helemaal géén onaardig plaatje van de 33 jarige Amerikaanse R&B zanger en acteur: "Usher Raymond IV", uit februari 2012 !!! Ruim voldoende ☺!!! Ich bin nicht so begeistert, wie die Internetgemeinschaft. :/<br>Muss wohl noch werden... Oder nicht. Einen Höhepunkt mit Usher hätte wohl manche Dame gerne. Solide 4. Weniger 08/15 als zuletzt, klasse arrangiert. Der Jammergesang verhindert höhere Bewertungen. Gute 4*. Weniger... OMG is um Längen besser. Die Melodie zieht sich etwas. Der Sound hört sich sauber u. "kühl" an, sehr klinisch rein. Der Gesang ist recht hoch u. fällt nicht groß auf.<br><br>Insgesamt ein angenehmer Song, der eine kernige Melodie vermissen lässt. Knappe 4*. Really like this. It's similar to Love In This Club without the pumping beats, but it's freaking hot. Good song, I'm surprised by how much I like this. 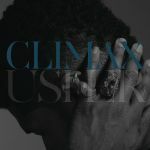 Wat is 'Climax' een ontzettend saaie plaat van Usher. Ik ben zelf geen groot fan van Usher, maar dit is toch wel onder het niveau van zijn vorige singles. Ik mag hopen dat zijn album meer is dan wat hij hier laat horen. Een nummer dat het vooral van het refrein moet hebben. De coupletten zijn behoorlijk saai en ook de muziek is in dit nummer minimaal. Toch een redelijke en rustige plaat, dus wel een voldoende. Wer will sich das schon antun ... und dazu noch freiwillig? Dem würde ich gern die Hand schütteln! Very poor once again from Usher. Quite weak. Disappointing as I usually like Usher.<br><br>"Scream" is much better. Nothing spectacular, but I appreciate his effort. Ich liebe es. Tolle Arbeit. Guter Song, auch wenn Usher manchmal schon fast "heult".. I've actually grown to love this over time. I really like the way his falsetto clashes with the low notes at the starts of the verses, and the abruptness of each verse -> chorus transition (and the chorus -> verse transitions also). It's really strange to me how the second verse already feels like the bridge, with how it seems to be crescendoing to something really momentous (I also really like the way he sings "we're TOgether" in that specific chorus); but then it's made extremely obvious where the bridge is when it comes in, and that part's really nice. There's something really sinister about how the synths lift and release throughout the entire song, and the strange Diploisms are totally welcome. Shame that this was overlooked chart-wise in favour of "Scream"; this would be one of my favourites of Usher's. Gesanglich (Falsett) nicht mein Ding.